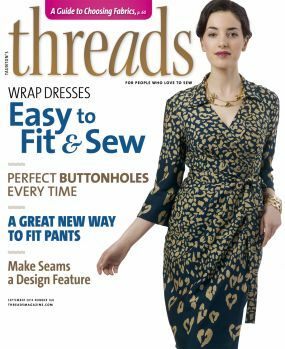 In Issue #186 of Threads Magazine, Julianne shares her knowledge and love of linen fabric including using it on the bias. The article also discusses a method of using the wrinkle properties of linen to create temporary 3 dimensional texture in garments. Several examples, all made from Bias Cut Blueprints are shown in the article. 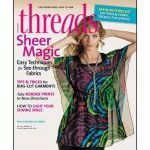 Threads Issue #172 includes, "Bias Basics", by Julianne Bramson all about the magical bias cut. 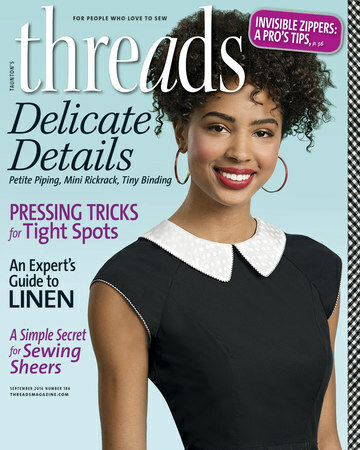 Visitors to Threads Magazine webiste also enjoy extra content, all about how to hang your fabric before hemming it. 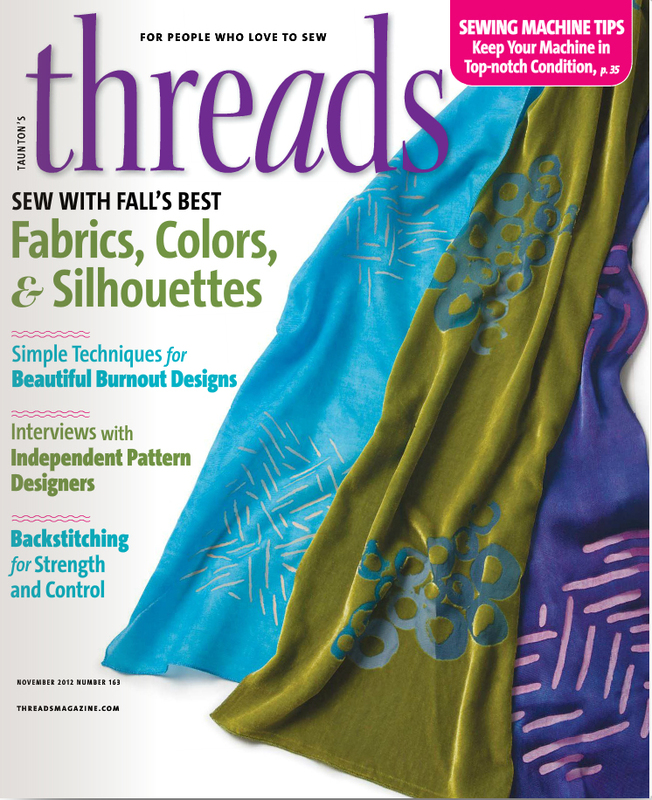 Threads Issue #168 includes a 6-page article by Julianne Bramson, "Fabric Selection Secrets" about fibers and how to choose a fabric for your perfect garment. One of her examples was made with Fashion in Harmony's Chinese Lantern Skirts - Square Skirt version. 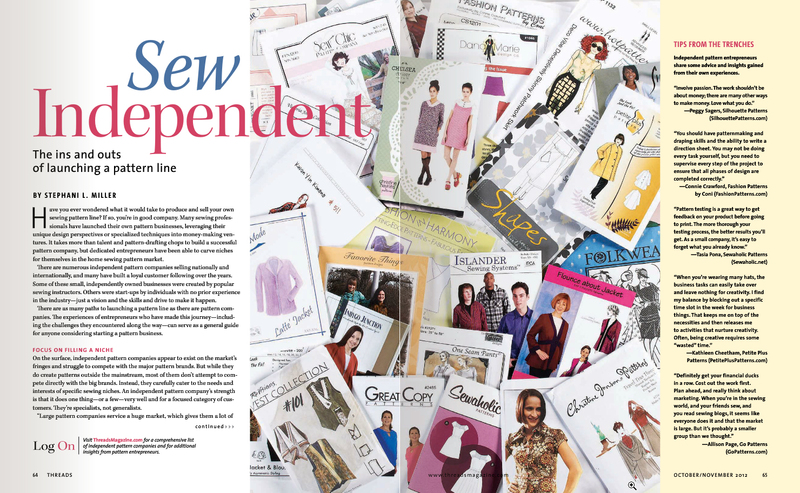 Threads Issue #163 Included interviews with Independent Pattern Companies and Fashion in Harmony was one of the companies featured. 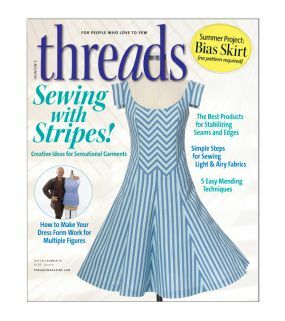 Threads Issue #161 includes an article by Julianne Bramson on making a bias-cut skirt using 5 fabrics. 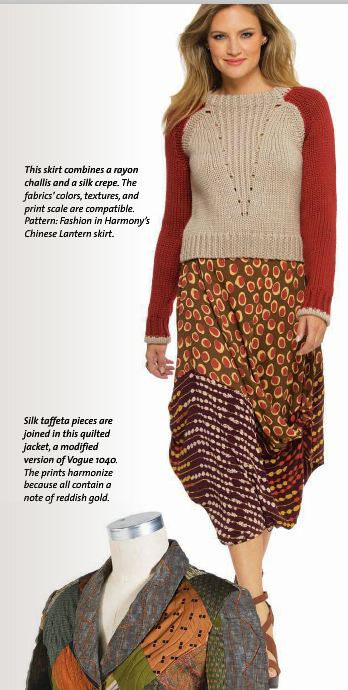 Chinese Lantern Skirt Reviewed in Threads Magazine, Issue #156, September 2011, Page 32. 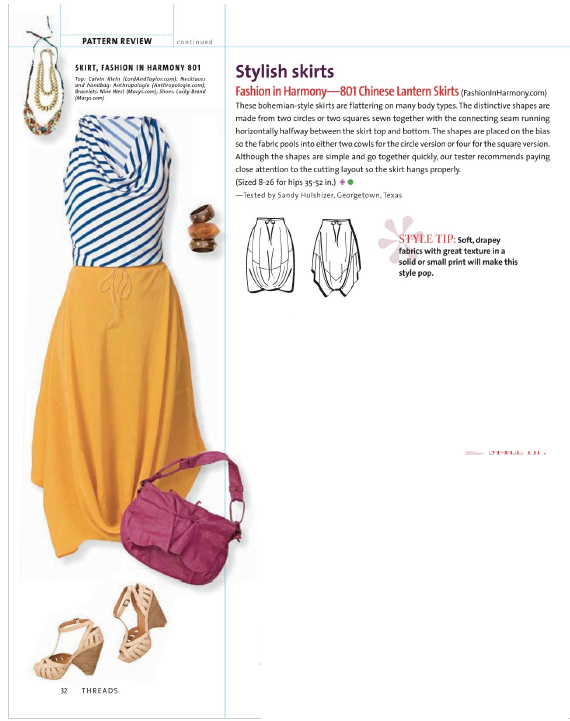 The favorable review claimed our fun skirt pattern is "flattering on many body types". 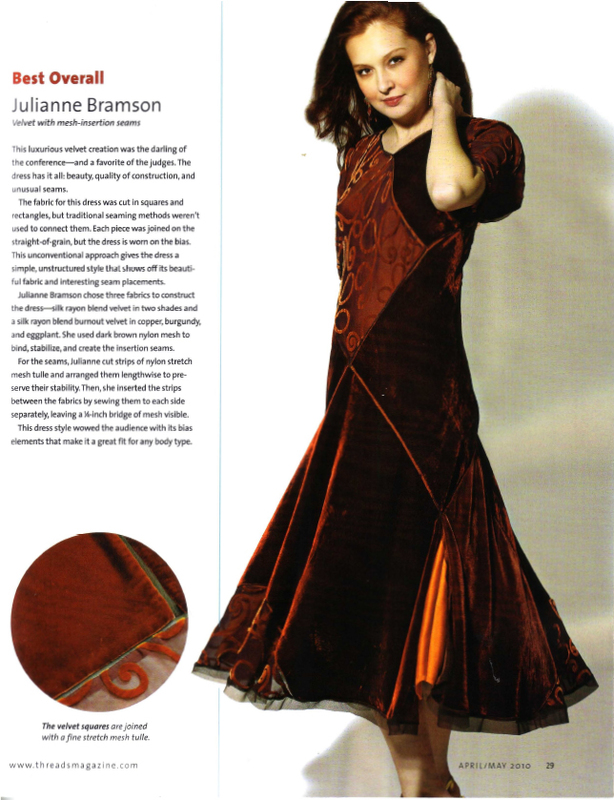 Julianne Bramson is the winner of the Threads Magazine 2009 “Everything it Seams” contest. The contest goals were: to use seams in a new way and to create a new seam. Julianne met all the goals of the contest rules including using an original dress design. Julianne created a unique and new seam and her detailed documentation was helpful in her winning this contest. 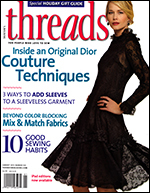 See Threads Magazine, April/May 2010, Issue Number 148, pg. 34 for more information on how to reproduce the new seam. Inspired by the luxurious yet simple designs of Madeline Vionnet, Paul Poiret and Mariano Fortuny, Julianne sought to showcase seams as a design element in this dress. The geometric shapes are sewn on the straight-of-grain; however, the dress is worn on the bias placing the seams diagonally on the body. Inserted into each seam is a narrow strip of nylon stretch mesh. Julianne named this seam treatment the Mesh Insertion Seam. Nylon stretch mesh is stretchy in one direction, but firm and stable in the other direction. This allowed it to be used to hold the garment together without compromising the movement and fluidity so desired in a bias cut garment. 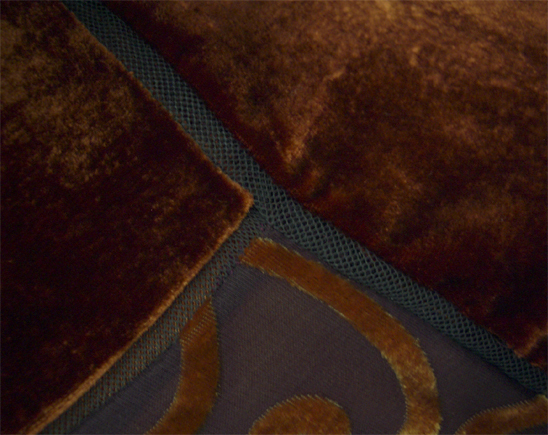 The dress features 3 beautiful silk/rayon blend velvet fabrics in shades of copper, burgundy, and eggplant.